← Do you worry about your customer end use? Cognitive similarity may or may not correlate to all the VC funding activities but generally speaking, the ‘If you build, they will come’ stance is a proven formula for failure. Understanding the pain points and market validation of the concept has yielded better success for start-ups and greater backing by VCs I feel. Effectual vs Causal thinking – an impact on entrepreneurs seeking funding! Fundamentally I agree – however if you know a VCs cognitive style like a Fred Wilson in this case, the entrepreneur will likely alter his/her behavior and even change the overall approach to align – more so than standard knowledge about a VC’s investment strategy. I don’t think an entrepreneur can choose whether they can adapt causal or effectual just to get funding. Really interesting and cool post. 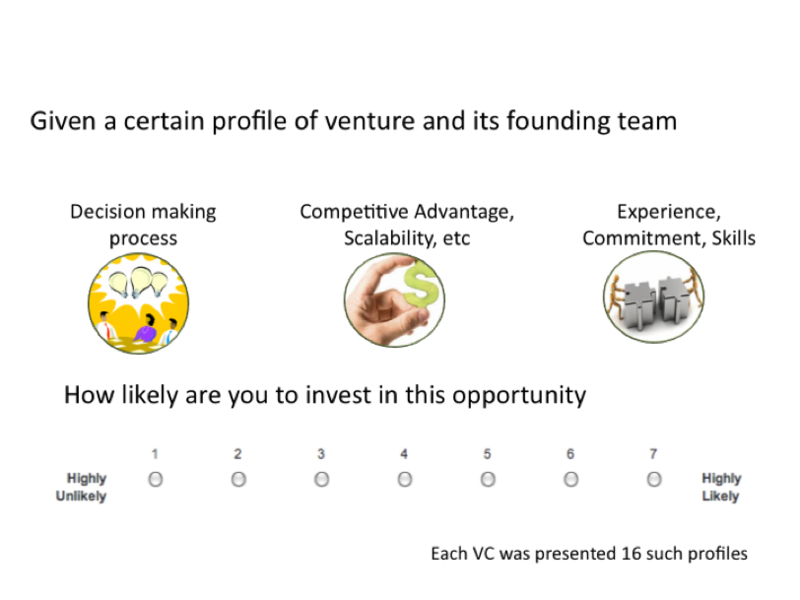 Taking it a step further – assuming that VCs self-select based on cognitive similarities – is this a good thing or bad thing? In general, let’s assume you don’t want two people with the same mindset making a decision because of a lack of alternative perspectives/productive debate. Can the same be said for matching a VC and a startup on a cognitive basis? Or will this only create too much friction? I wonder if combining alternate approaches – that is matching an effectual VC with a causal startup (and vice versa) – leads to better outcomes or more stagnation over the “right” path. Ha – if it’s the former (matching alternative perspectives leads to better outcomes) this creates a counterintuitive result – VCs should invest in companies that they would tend to avoid due to cognitive dissimilarity. Regardless, it seems like a miscalculated approach for an entrepreneur to decide what strategy – effectual or causal – based on the VC he/she pitches that day.